1 Who is actress Susie Abromeit? 5 What is Susie Abromeit’s Net Worth? Who is actress Susie Abromeit? Born on the 15th of November 1982 in Boston, Massachusetts USA, Susie Abromeit is a 35-year-old Caucasian songwriter and actress, well known for portraying the role of Pam on the Netflix hit TV series entitled “Jessica Jones”, although also well known for ranking as #6 in US junior tennis, and #1 in Florida. She has had a number of lesser roles in various films and TV shows throughout her acting career, having been active in the often lucrative business since 2007. Theere really isn’t much information surrounding her early life, though it is known her father is Richard H. Abromeit and her mother is Lynne (Palmer) Abromeit, and that her sibling is a celebrity as well – Kate Merrill is Susie’s older sister, and a two-time Emmy-winning reporter who has obtained world-wide recognition for her successes in journalism. It is unknown how and when Susie took an interest in what she does today, but it is evident that her interests changed a lot over the course of her maturation. Firstly, she was a top-ranked junior skier at the age of 12, at which point she suddenly had a change of heart and decided to start tennis lessons. This evidently paid off, as she eventually became #6 in US junior tennis while she was in high school. This success instantly earned her a tennis scholarship at the prestigious Duke University, but according to her own words, she hurt her back when she was 18, and so started writing music instead. She subsequently became interested in acting, and once she was done with college, she knew what she wanted to do. There is no confirmation that Susie graduated from college, but the fact is that Susie’s TV screen debut was as Jenna Reese in a single episode of “Burn Notice” in 2007. After that, she had several other support roles in a subsequent film, and a lead part in 2008’s Justin Dec film entitled “Rolling” – this attracted the attention she needed for a breakthrough, seeing as she had four more roles the following year. After another two years and a number of lesser roles in titles that aren’t too famous, she was briefly featured in “CSI: Miami” in 2013 and consequently in “CSI: Crime Scene Investigation” in 2015. She also made an appearance in an episode of “Supernatural”, and while these roles may not sound like much, they were just enough to allow her to become Pam in eight episodes of Melissa Rosenberg’s “Jessica Jones” in 2015. At the moment, she’s occupied with two projects that are in post-production. When it comes to Susie’s romantic life, she is quite secretive about any such details, and thus the media is in the dark. 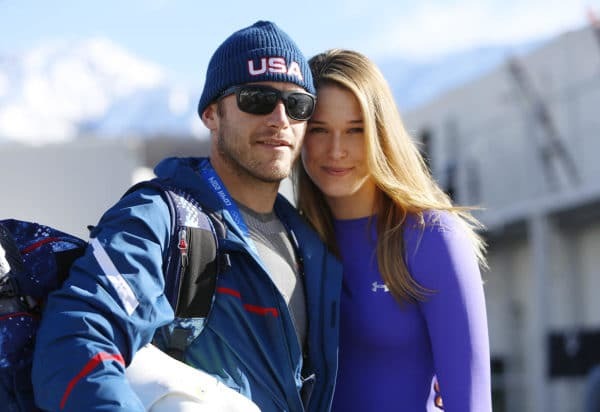 Still, there have been a few rumours, including that she was dating the tennis star Mardy Fish, which allegedly started back in 1999, but the two broke up after a year, while yet another suggests that she dated skier Bode Miller for a year as well, but neither of them were ever confirmed. Additionally, Abromeit was once interviewed about the type of guy she likes, to which she replied ‘I like me some scruff! Yeah, I like a man with a beard, I like a manly man. I mean, he can have quirks, do some sewing or whatever. I think that’s beautiful. But then also a man who can work with his hands, who can fix anything. A man who can make me feel like a woman.’ Since there was also a rumor surrounding her sexuality which emerged after she shot a lesbian scene, her response should at least clear that up. What is Susie Abromeit’s Net Worth? Have you ever wondered how rich Susie Abromeit is, as of early 2018? According to various authoritative sources, it has been estimated that the current total of Susie’s accumulated wealth is close to $800,000, largely aided by her numerous roles in the acting industry, while the greatest contribution is likely from her eight-episode-long presence in “Jessica Jones”. As her career continues to develop, the said amount can be expected to increase. Concerning the physical attributes of the actress, her vital statistics are said to be 37-25-37, her height stands at 5ft 7ins (1.70m), and her body weight is around 130lbs (59kg). Her body shape is generally described as hourglass with a slim build, while her hair color is bright blond, her eyes are light blue, and her foot size is 7.5, and dress size is 8. Due to the major influence of social networks, it is nowadays a regular thing for active actresses to nourish a close and active relationship with their fans, for the sake of increasing the popularity of the titles they’re working on, and thus their own net worth. Susie herself seems to be a major subscriber, if not the leading example of this trend, as she is quite ubiquitous on most social media networks. Her Facebook account currently enjoys almost 4,000 followers, while her Twitter account boasts a slightly higher 5,000+ followers and her Instagram account is actively followed by a significantly higher 23,000+ fans at the moment.